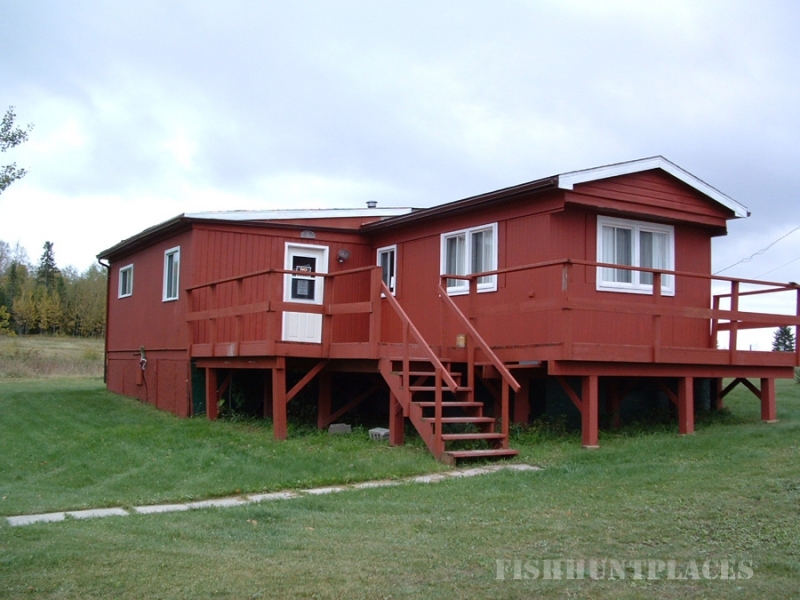 We are located on Dinorwic Lake, 18 miles east of Dryden, Ontario, on Highway 17 at Dinorwic. Look for the Pine Sunset Lodge sign and we're located ¾ of a mile down Robertson Road. Lake Trout fishing. 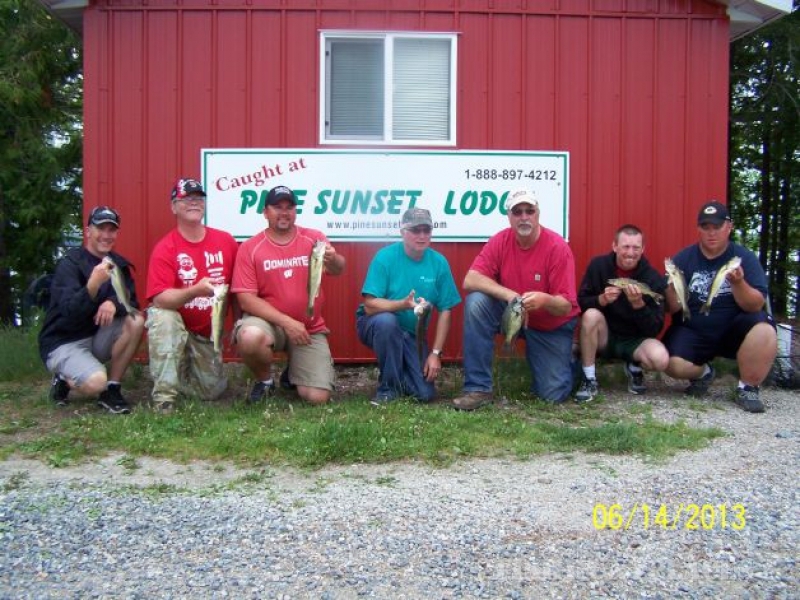 Lake Trout up to 10 pounds are available. Perch are available in unbelievable numbers and the Crappie fishing is getting better every year. 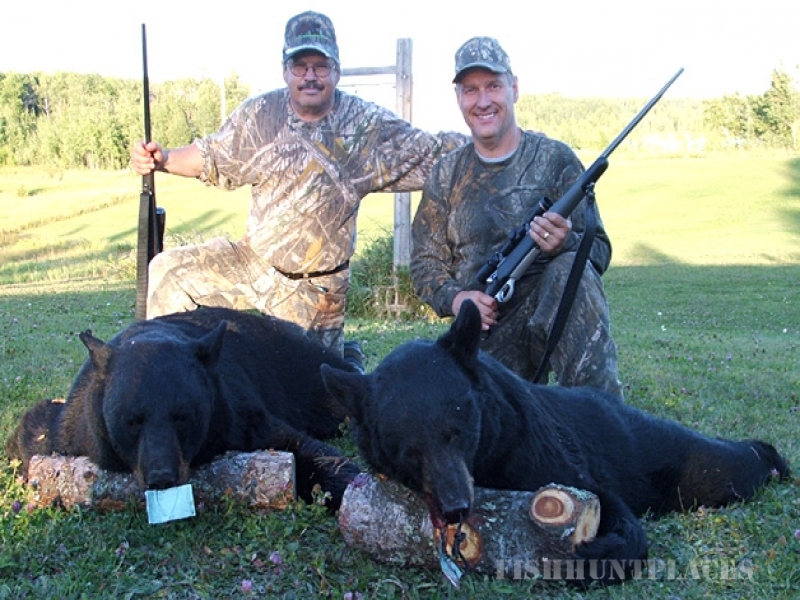 We offer one of the best Black Bear hunts in Ontario. Our customers enjoy a 100% success rate in our massive Bear Management Area (BMA). Black Bears average 300 pounds in our area with the occasional monster that reaches 600 pounds. We have 2 Bull Moose tags & 1 Cow Moose tag for WMU 15A and 1 Bull Moose tag for WMU 5. Moose in our area reach over 1300 pounds and our Moose hunting guests enjoy an extremely high success rate. The Dinorwic and Dryden areas have become legendary for Whitetail Deer Hunting and have become known as the Whitetail Triangle. Our Whitetail Bucks are huge with impressive racks. We have unguided hunts and fully guided Whitetail Deer hunts on private land with an unusually high success rate.Grouse, Duck, Goose and other small game hunting are also available.